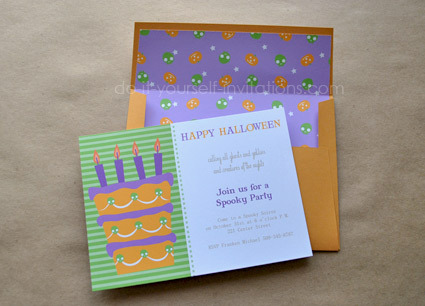 Planning a spooky soiree for the Halloween season? 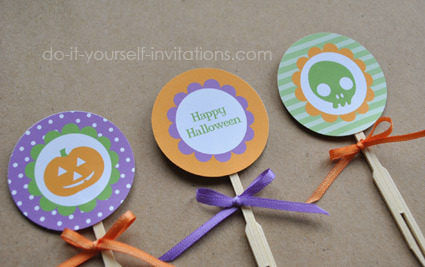 These printable Halloween Invitations and party decor kit is the perfect solution to creating your own DIY party. 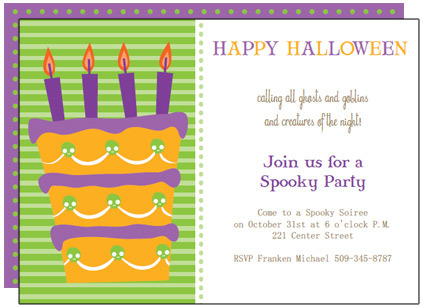 These printable Halloween invitations are perfect for a children's Halloween celebration or even a Halloween birthday party! 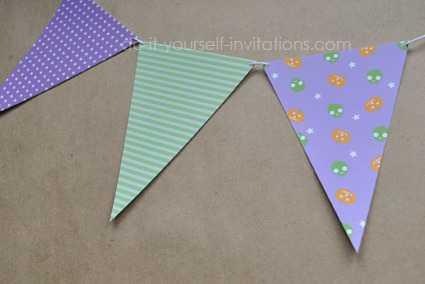 Adorned with colorful seasonal colors, cute skulls and pumpkins. Your kids will love them! The kit comes to you as an instant download PDF file to print and make at home. 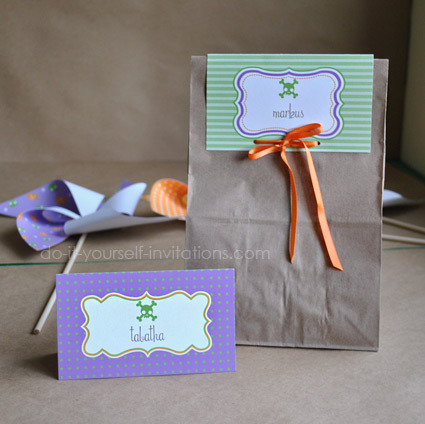 The invitations are customizable so that you can personalize the wording and fonts to match your event. 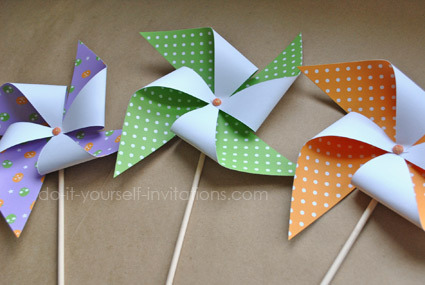 Change the wording to match your party! You can even play around with different fonts, font sizes, and font colors! 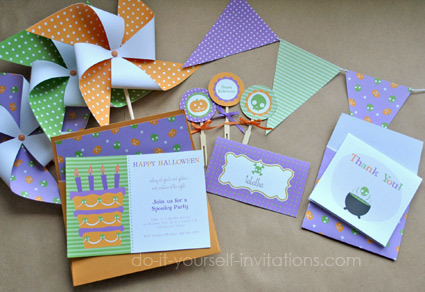 This kit comes complete with a customizable invitation template with the option to make a double sided invite, with coordinating envelope liner sheet, printable thank you notes and matching envelopes, bunting banners, cupcake toppers, cupcake wrappers, and favor bag toppers (can also double as place cards). 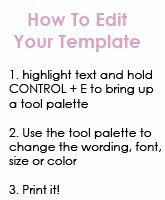 Fonts - The fonts I used for this template are Mary Jane Antique and Riddle.